Apprentice card is available for people who have commenced on a recognised apprenticeship framework. 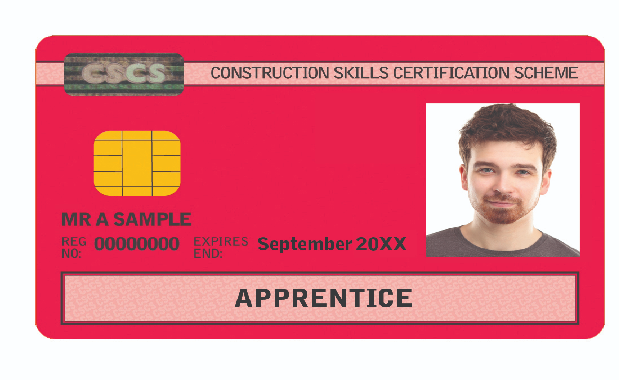 Apprentice Card is valid for four years and six months, and cannot be renewed. Applicant would be required to email evidence to show that he/she is registered for an apprenticeship to cscs@citb.co.uk prior to calling. Else applicants can alternatively apply by post using the application form. How to confirm that the applicant is registered for an apprenticeship? Apprenticeship Agreement, provided that it shows the occupation and qualification (including pathways) for which the applicant is registered. How to exempt from the CITB Health, Safety & Environment ? Health and Safety unit included in your induction or initial qualification. In case applicant satisfies none of the above, then they will be required to take the CITB Health, Safety & Environment test before applying for the Apprentice card.